Will The LeBron James Silver Prizm Craze Continue? Over the past few weeks, LeBron James Prizm basketball silver cards have shot up in price. 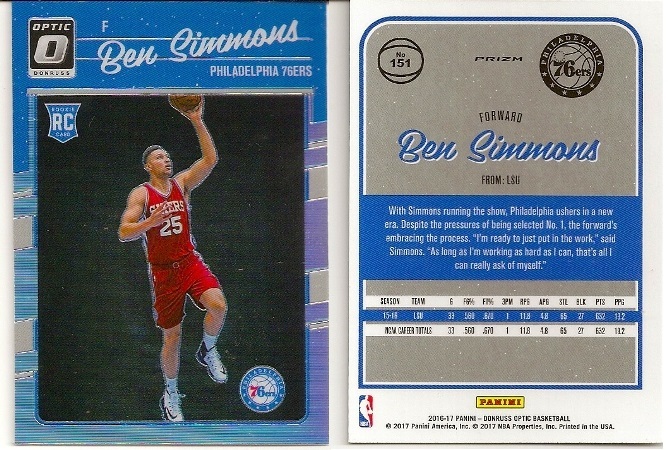 Especially the early Prizm from 2012 to 2015. Some of these early Silvers are selling in the hundreds of dollars and graded ones have gone into the thousands of dollars. Lately, even his 2017 Silver has heated up to about $25. And it seems to be spreading to Donruss Optic as well. I only have 2 of these as you can see in the picture. 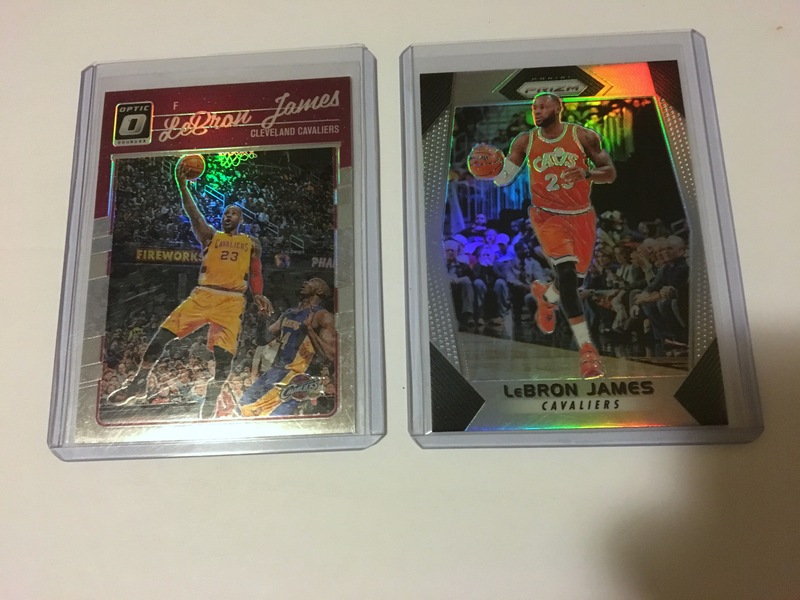 One is a LeBron James 2017-18 Panini Prizm Silver and the other one is the 2016-17 Optic Silver. LeBron James 2016-17 Optic Silver has heated up in the past week as well as there are a few $20 sells on eBay. I actually had this card for sale for $5 here on my website. It set there for months and nobody bought it. Thank god!! Some times you get lucky and sometimes you don’t. Like the time about 4 years ago I sold a 2009-10 Bowman ‘48 Stephen Curry rookie card here on my website for $15. Yeah, I lost out on that one. Will the LeBron James Silver craze trend continue? It is amazing.